The new TerraSAR-X Staring SpotLight mode with a resolution down to half a meter and enhanced radiometric quality reveasl the crucial details and takes SAR-based object detection and recognition for Image Intelligence (IMINT) and GEOINT to a new level. This is a Staring SpotLight aquisition of Lillestroem, a city with 14.000 people, situated about 20 km east of the capital Oslo. 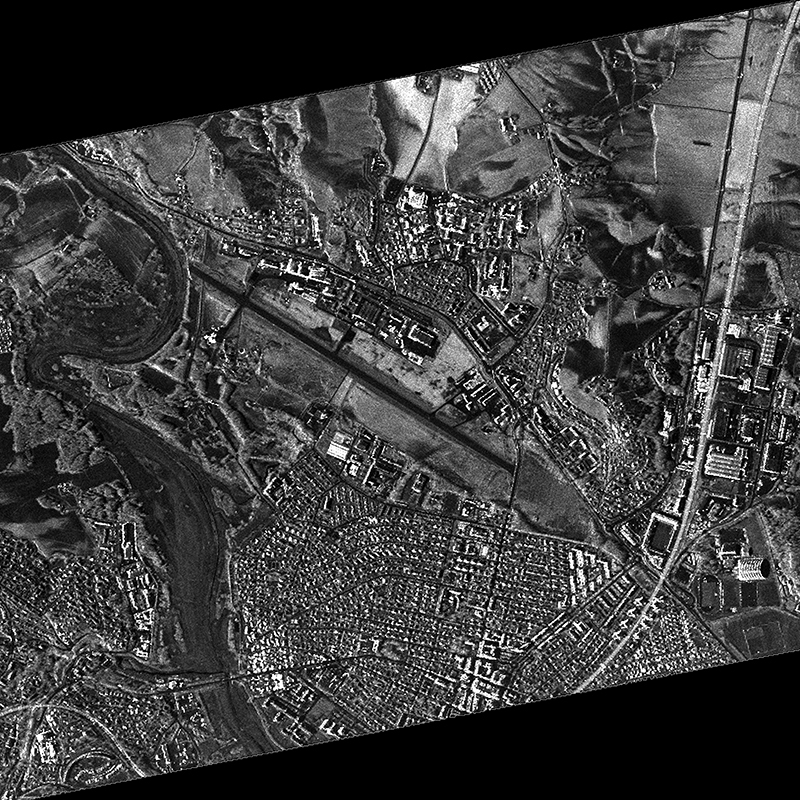 The image clearly shows the enhanced details visible in the landscape and building structures of the new high resolution TerraSAR-X imaging mode.